Here is something on the surface level that just doesn’t make sense. If the ratification of the biblical canon at Trent was just a formality, why such an underwhelming vote? If the Council of Trent was simply affirming the same canon that had been held by the Church since the 4th century, wouldn’t you expect a better consensus than 44% yea, 27% nay, and 29% abstaining? From a strictly human perspective, a 44% majority is far from convincing me that the council members at Trent were sure of the historical witness to the exact nature of the canon. From a divine perspective, a 44% majority is a weak testament to a supposedly “holy-spirit-guided”, infallible council. If the Council of Trent was simply affirming the same canon that had been held by the Church since the 4th century, wouldn’t you expect a better consensus than 44% yea, 27% nay, and 29% abstaining? You would think that there wouldn't be so much division in the one true church. Infallible council indeed. The Bible as Rome has it was far from settled in the days of Hippo and Carthage. Hey, nevermind the fact that even Jerome had a problem with the apocrypha and was reluctant to translate it. Just one more example of playing fast and loose with the facts. And let's not forget Michuta's admission in his debate with James White that certain of the DC books were "passed over in silence" by Trent. RCC is apparently still not sure whether those books are in the Canon or not. Which is why their "you Prots don't have a Canon w/o us!" comments are so funny. I know. It would be like God letting the Apostles cast lots to see who would take Judas's office or something and then claiming it was the Holy Spirit's decision! Preposterous. 44% isn't exactly 'Sacred Tradition'. Luther wasn't exactly 'novel' in taking out those books. In fact, this shows that he didn't even take those books out in the first place: they weren't there to begin with. "In fact, this shows that he didn't even take those books out in the first place: they weren't there to begin with." It seems to me you have an unfinished story to tell - how those books got "there" now. Since Trent passed over several of them in silence, however they got there, it wasn't by an Ecum Council at Trent. "Since Trent passed over several of them in silence, however they got there, it wasn't by an Ecum Council at Trent." Hardly answers the question. I do not blame you; if I were you I would avoid answering the question as well. "It seems to me you have an unfinished story to tell - how those books got "there" now." Rhology did answer your question. I would suggest that the problem is to be found in how you asked it. What exactly are you getting at here? I would also suggest you reframe your original question because your point is not all that clear. 44% is not the end of the matter, and you know it. Once the "vote" was taken, the rest of the assembled divines of the EC acknowledged the leading of the Spirit. Otherwise the 44% would not have been enshrined as the vox concilium, you see. As for the council passing over some works in silence, I think it's clear that the EC did not feel the same assurance that they did with regard to the books/passages that they did speak to, and thus the Spirit led the Church through silence in that limited regard. There are an almost limitless number of areas which could conceivably have been touched upon by ECs in the past; does this mean the Church falls under your condemnation for every time you posit She could have spoken but didn't? What sort of standard are you setting up for yourselves if so? Oh, I also meant to ask you about the level of surety you have in the canon you possess now. With regard to Luther's canon, which one are you going with? The one the gnesiolutherans adopted? Why not adhere to Luther's stated wishes about Hebrews, James, Revelation, etc.? 44% is not the end of the matter, and you know it. Once the "vote" was taken, the rest of the assembled divines of the EC acknowledged the leading of the Spirit. Otherwise the 44% would not have been enshrined as the vox concilium, you see. Are you saying all agreed with the majority once the vote was taken or that the majority simply determined the vox concilium even though some may still have disagreed? Is the Holy Spirit at work with the majority or just with the final decree, or both? Oh, I also meant to ask you about the level of surety you have in the canon you possess now. Certainly as much certainty as you have since the council choose to pass over some issues in silence. Is 3 Esdras canonical or not? You don't know b/c the book was passed over in silence. Therefore, you have a fallible list of infallible books as do the Protestants. "Therefore, you have a fallible list of infallible books as do the Protestants." You are going to have to show a Protestant council or pseudo pope who decided on your (Protestant) "list of books", even if fallibly. The point is that there is no Protestant list, because your people have not even made the effort to think through the issues, let alone coming up with a list. Protestants seem to hate serious work. You and your people will have to go back to the drawing table; consider all early writings and answer the why of each book- why 27 books? Why four gospels? Etc, etc. There is no evidence that Protestants have done the work. In this regard, Protestantism is like a naughty child who can neither draw nor paint but enjoys messing up other people's work so as to be on an even keel with everyone else; he won't invest the effort. One hears Protestants make the same kind of non-argument about the Early Church as they do on the canon – the Early Church is neither Catholic nor Protestant; our canon is fallible and so is yours; our canon is closed, but we do not know who closed it and neither do you. This kind of attitude reminds one of the story of two women who went to Solomon, each claiming a child belonged to her. The impostor mother wanted the baby cut in half while the actual mother did not want the child to be harmed. For Solomon, it was easy to see who the real mother was. One therefore must always be suspicious of another who wants to level the playing ground and who does not want to exact the effort to do something admirable but goes off on all kinds of goofy diatribes, denials and arguments. Such people love to sit in armchairs, pretending to do theology while scoffing at those who leave out the gospels. Such people simply do not want to get their “hands” dirty. In no order, the question concerning 3 Esdras (accepting that nomenclature) is moot and has no bearing on my certitude, and here is why: the canon which was stipulated is an infallible definition of the known contents. Should St. Paul's letter to the Laodicean Church (or another hypothetical, inspired text) be found and sufficiently attested to (I leave aside the likelihood), I have no doubt that the Holy Spirit would -- because He could -- confirm its insipration, and the canon would be extended to that limit. Or, the Church could convene a Council to consider the matter and come away with no sense of certitude about it. This would have no bearing on the previous canon. Second, the decrees of the Council must receive the approbation of the head of the Church, the Pope, for even a unanimous vote to become binding. (I am simplifying. I am also no expert. Consult a canon lawyer for further elaboration or elucidation, please.) Additionally, there is no requirement that a "vote" occur at all; there is every possibility that a council could convene and not even require lengthy discursive debate or the hammering out of concensus. I guess what I am saying is that the methodologies of various councils can differ and that your holding up of the "44%" at Trent on the canon is imprecise and incomplete. If a bare plurality of voters select electors to the Electoral College and it chooses a candidate who failed to capture a majority vote, is that candidate still the President-elect? Yes. Or if a legislature passes a law with less than a simple majority due to abstentions (and there is no other prevenient stipulation) but the governor signs it and the supreme courts pass on reviewing challenges, is it still law? Yes. Granted, analogies fall short, but are often illustrative. The bishops fulfill more than a legislative function, etc. "Additionally, there is no requirement that a "vote" occur at all; there is every possibility that a council could convene and not even require lengthy discursive debate or the hammering out of concensus. I guess what I am saying is that the methodologies of various councils can differ and that your holding up of the "44%" at Trent on the canon is imprecise and incomplete." I don't think the problem is the method per se, it is that RC apologists say Trent simply ratified something to from the settled Tradition to counter Luther's "innovations" regarding the canon. So, if Luther's critiques of the canon were "innovations", and Trent was merely reasserting the Tradition of the Church, how come this settled Tradition could only muster 44%, and why was there so much dissent from what is claimed to be the clear Tradition of the Church? I think that is the issue more than anything else. I also think it is a fair point. It does not by itself make Trent wrong, but it does lessen the polemic force of the RC apologists who claim that Trent only reasserted settled Tradition. I guess what I am saying is that the methodologies of various councils can differ and that your holding up of the "44%" at Trent on the canon is imprecise and incomplete. Edward already gave you a great answer. My questions about the work of the HS is in reference to your assertion that "Once the "vote" was taken, the rest of the assembled divines of the EC acknowledged the leading of the Spirit" which implies the HS led the council in-line with the majority. Now you seem to be talking more about the mechanics of canon law rather than the "leading of the spirit" so I will assume there is no real understanding of how the "spirit leads" in the Councils. In actuality, after the vote was taken there was further dissent from members of the council before the final decree was agreed upon. The 44% majority and continuing questions on the canon go to show that the exact content of the canon was in dispute (amongst Catholics)prior to the final decree by Trent. First, I appreciate the point you make. As to the desire for a neat and clean solution to what many times is presented as a neat and clean Tradition, I would refer back to my earlier point: if it was clear from Scripture that another should take Judas's office, why in the world did the Apostles essentially "throw dice" and attribute it to the Holy Spirit? Doesn't seem like much of an infallible process, either, does it? and it doesn't take long to get disabused of the notion that the Catholic claim has always been that every Christian has understood explicitly every dogmatic pronouncement in its fulness from day one. You know that's not the case, and yet you act as if it should be shocking that there were are and will be dissident bishops, theologians, laymen, whomever. None of those bishops who voted "nay" at Trent on the canon left the Church because they didn't get their way. 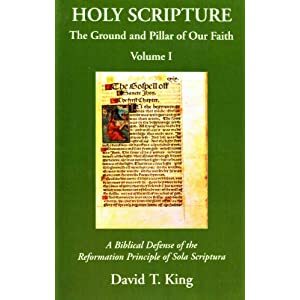 Besides, I don't think it is at all clear that the vote about "De Canonicis Scripturis" was about whether or not to include the deuterocanonicals in the canon, but that the debate about how to properly term them was settled. I don't know; people more expert than I should be consulted, but there was debate before the decree about whether there should be two classes of Scripture, OT and NT, OT, Apoc., NT, etc. Perhaps the dissenting 15 (less than the 16 abstentions) were voting that the canon should be defined in such a way as to create a special class but that didn't make it to the text of the final draft. Perhaps there were questions about how the canon would be utilized. There seems to be no question that none of the debate was that the works were never used by churches. Carrie: My questions about the work of the HS is in reference to your assertion that "Once the "vote" was taken, the rest of the assembled divines of the EC acknowledged the leading of the Spirit" which implies the HS led the council in-line with the majority. Now you seem to be talking more about the mechanics of canon law rather than the "leading of the spirit" so I will assume there is no real understanding of how the "spirit leads" in the Councils. I think that's a faulty assumption, but certainly not an absurd one. How does the Holy Spirit work, Carrie? Ah, I see. Incidentally, I was not trying to shift the discussion but rather offer further speculation. I don't believe there is an inconsistency about what I said; you seem to think so. Perhaps you could elaborate? Also, you said: In actuality, after the vote was taken there was further dissent from members of the council before the final decree was agreed upon. No dispute, but a citation would help. Again, a non-issue, since the end result as ratified by the Pope is the final word. The hammering out does not equate to lack of Tradition. You, again: The 44% majority and continuing questions on the canon go to show that the exact content of the canon was in dispute (amongst Catholics)prior to the final decree by Trent. No kidding. There's "debate" now. Crossan is allegedly a Catholic. Does his "dissent" count in your attempt to discredit the RCC? What about more legitimate scholars who might entertain doubts about, oh, the Johannine Comma? End of Mark? The question was settled, but they still go on, don't they? What about Protestant scholars and their opinions on these and other topics? if it was clear from Scripture that another should take Judas's office, why in the world did the Apostles essentially "throw dice" and attribute it to the Holy Spirit? Doesn't seem like much of an infallible process, either, does it? I am having trouble following your logic in this discussion, Mike. Your answers basically seem to be "holy mother church is correct because she is holy mother church". That's fine if you want to believe that, but don't then make statements about how the HS was leading people in the Council. Again, it seems you are sort of admitting you don't really know how the HS works to produce an "infallible" outcome but don't want to say it straight out. Do you know exactly how the HS works in a council? If you can give me a straight answer I will tell you why I am asking, it's not a trap. Second, you keep bringing up the lot throw on Matthias and I am not sure that proves much. There is a debate as to whether Matthias was truly God's choice for Judas' replacement since Paul clearly was chosen later. If you can prove the lot throw was an infallible decision, I'd love to hear it. You know that's not the case, and yet you act as if it should be shocking that there were are and will be dissident bishops, theologians, laymen, whomever. Only shocking if I believe the standard Catholic e-pologist's on unity (as opposed to Protestant "chaos") and that the canon used in the Church was always understood exactly as Trent ratified it later. Brush up on the arguments of your peers and you will better understand the assertions made here. but that the debate about how to properly term them was settled. No, questions on whether to have 2 classes of "canonical" (as Seripando argued for) were still brought up after the vote. Eventually I will be posting on this. There seems to be no question that none of the debate was that the works were never used by churches. No one has claimed that here. I don't believe there is an inconsistency about what I said; you seem to think so. Perhaps you could elaborate? Read what you said again. You asserted that "Once the "vote" was taken, the rest of the assembled divines of the EC acknowledged the leading of the Spirit." Are you saying that you know for a fact that "the rest of the assembled divines of the EC acknowledged the leading of the Spirit" or are you saying you really aren't sure how the HS infallibly guides the council, you just know the end result is infallible. I don't know why you are pushing this back on me, you are the one who made an assertion about the mechanics of the HS - if your assertion was misplaced, that's fine, but say so. The hammering out does not equate to lack of Tradition. I guess that depends on how you define "tradition". Again, study up on the arguments of your peers. No kidding. There's "debate" now. Crossan is allegedly a Catholic. Does his "dissent" count in your attempt to discredit the RCC? I'm sounding like a broken record...study up on the arguments of your peers. My attempts here are to discredit the standard Catholic e-pologist arguments that float around online. Carrie, I haven't read much in the way of denial of Acts 1:25-26. The Apostles asked the Lord to show them whom He had chosen to replace Judas Iscariot, they cast lots, and they numbered Matthias among the eleven from that day. The establishment of the Apostles as representative of the new Israel is clearly in view here. Immediately after this in Acts 2 is the Pentecost narrative and the establishment of the first real witness to the Jews in their various diasporatic languages; only later does the Lord select Paul as a special Apostle to the other nations. I can honestly say that I have never heard someone argue that the Apostles were wrong to "number Matthias with the eleven." Is that your position? If not, then the point I am making that the Holy Spirit leads in different, often mysterious ways stands as it is. You're the one who started this off by saying "From a divine perspective, a 44% majority is a weak testament to a supposedly 'holy-spirit-guided,' infallible council." I was objecting to this statement specifically. I could have been clearer. Has the Lord always given you such irrefutable testaments elsewhere, Carrie? And what testament is it that you Protestants rely on the testimony of such misguided Catholics for accepting Hebrews, James, Revelation, 2 Peter, 2&3 John, e.g.? I see now that you are simply trying to engage in polemics against a small class of popularizers and thereby "discredit" them. That's fine, it hones. I suppose it's easier, too. I often enjoy engaging in similar exercises, but they don't mean that whatever larger Protestant position is thereby discredited. Of course I don't know how the Holy Spirit works in a council, in a person's life, in inspiration of the Scriptures; I know that He works, not how. If you want to whip out a gotcha, go right ahead. I see now that you are simply trying to engage in polemics against a small class of popularizers and thereby "discredit" them. They don't appear to be a "small class" online. I can honestly say that I have never heard someone argue that the Apostles were wrong to "number Matthias with the eleven." Is that your position? I don't really have a "position", I just think it is a possibility that cannot be excluded. I told you, no gotcha. I actually agree with you that it is unclear on exactly how the HS works. Likewise, I trust that God put together the canon of Scripture even though I can't tell you the exact steps (and I don't need an infallible organization on earth to trust Him with that). This is just another example of the Catholic viewpoint pushing the question back a step. I trust God to put together his canon and you trust that God will put together his canon through the Church, yet neither of us can exactly describe the particulars. That is all I was going to say. Of course, I don't believe that the Council of Trent was guided by the HS nor infallible, but that is another story. Point taken. Since the issue has been raised, I would encourage you to re-read Acts 1:24 to the end of Acts 2. After numbering Matthias with the "eleven," we find "Peter and the eleven" (why that designation, I wonder? He was just a fellow shepherd, I'm told.) which included the newly appointed Apostle Matthias exhibiting the works of the Spirit. I'd say that manifests a pretty good deal of certainty about the infallibility of the decision. If its not to late to offer a comment on an old thread (which I seem to be prone to do), I would say that it is amazing that souls had assurance about some many men and writings being of God before a church in Rome would assuredly declare that it is necessary to have assurance. And therefore under that premise Prots also cannot have Biblical assurance, except under the Biblical premise in which souls recognized both writings and men of God in the light of their Heavenly qualities and attestation, so that the people both held John as a prophet and Jesus as the Christ, both of whom the magisterium rejected, and so that the church began following a rejected itinerant Preacher, contrary to the Roman sola ecclesia model for determining Truth. And as regards the only recorded act of apostolic succession (which was to maintain the original 12, [Rv. 21:14] thus only 1 was chosen, and there is a conspicuous absence of any mention of one for James [Acts 12:1,2]) being infallible, if this was the case and is support for Rome's doctrine of PI, then why has Rome never even elected a pope by the non-political OT method of casting lots? Or is God a respecter of Italians? And why is not the pope infallible when speaking in private sessions? BTW, I think this is the new link to the Aomin blog "Cardinal Seripando's opinion of the biblical canon."